The Vin Room is a sleek space dedicated to the fruits of the vine. 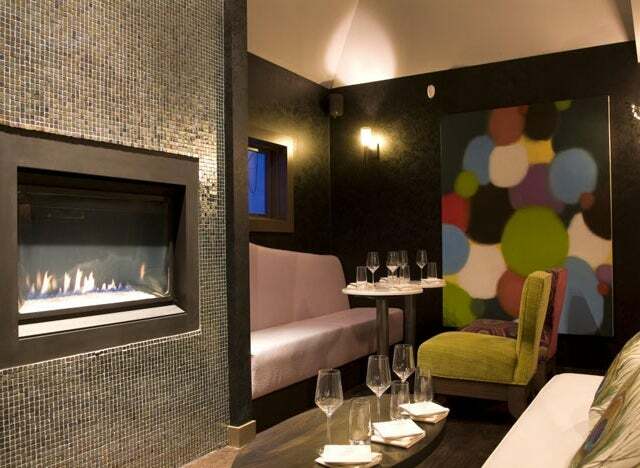 The space is bold and modern in design with splashes of bright colour and an inviting fireplace. One wall is taken up with wine bottles making this place’s intentions clear. They offer some 64 different wines, many available in small taster glasses as well as by the bottle, alongside a food menu which has been created to pair well with the contents of your glass. Wines are drawn from Europe as well as the US and there are a number of Canadian varieties on the menu. The wine list is divided in terms of taste bold and spicy or earthy and vibrant as well as by location. They serve a tempting range of charcuterie and cheeses and have a rooftop patio for lounging with a glass of something on warm evenings.